Yes. 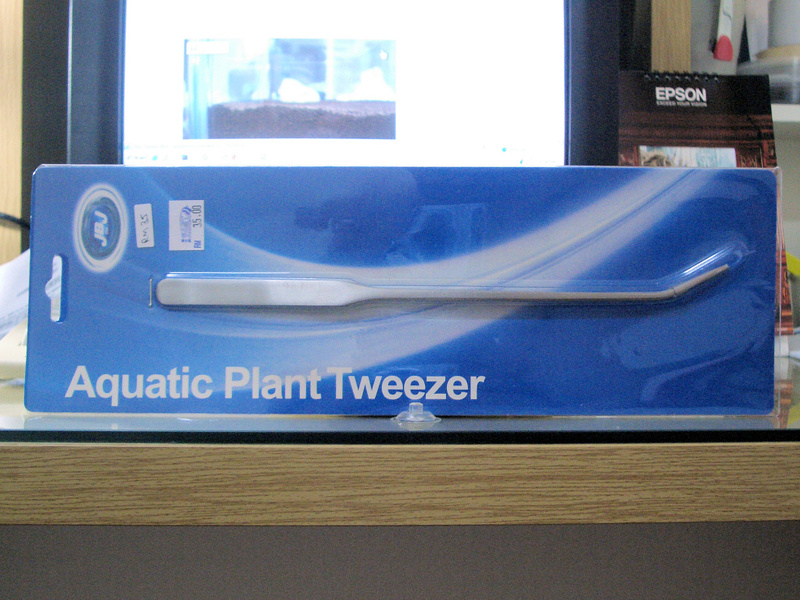 Finally I go and get this fella, an aquatic plant tweezer. This should aids me well in finishing my aquarium. Got this at The Pet Safari again. Since, I’m there, I just browse around the shop to see if there is any other thing that I’d like to buy. Remembering the comment about CO2 left by demononion in the very first entry of Planted aquarium pilot try, I decided to get one. Anyway, getting the pressurized CO2 system is quite costly. The CO2 tank, needle valve, bubble counter – all has quite high price tag, which are designed for large aquarium. Mine one is quite small. This CO2 system that use fermantation is enough I guess for now, and it can provide a continous CO2 supply for a month. I also get this water test kit. 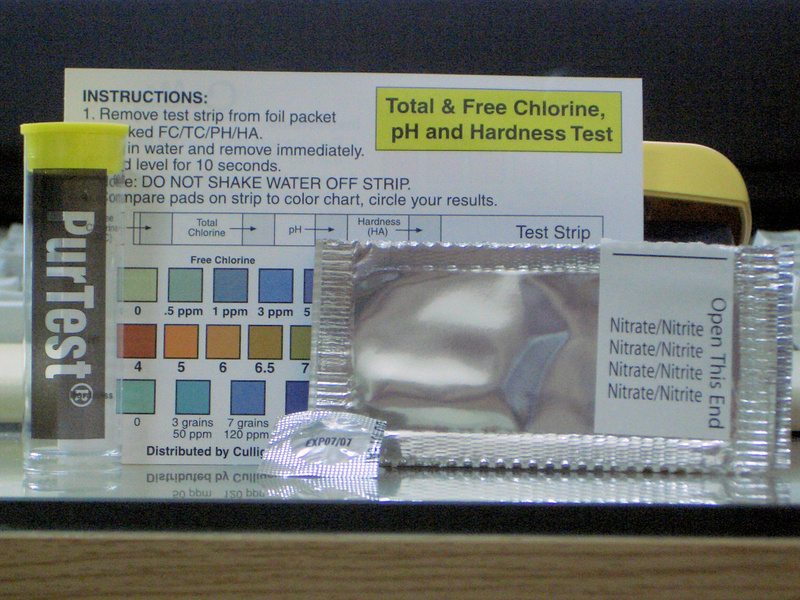 Been reading a lot about water hardness, PH level, ammonia level, nitrite level etc. I guess I just want to do a little practical session with this too. Darn…. I look like a scientist having all of these things. Check the amount of CO2 to be diffused. Excess CO2 will raise the PH level (i.e more alkaline). 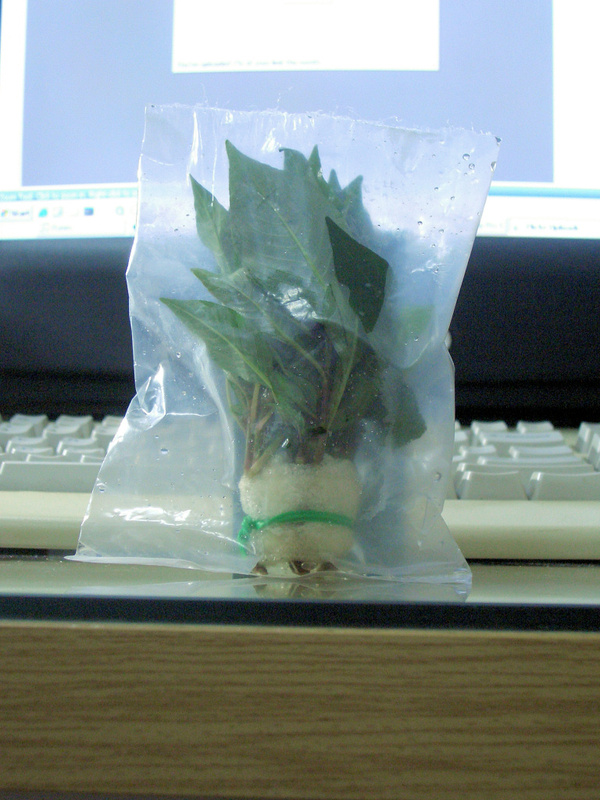 Finally, I also bought this plant (don’t know the name), to be put inside the planting rock. I have all the equipment ready. Let the work begins. First thing, test and get familiar of using tweezer. Man. It’s really easy to insert plant into substrate using this. It is a must if you are planning to do aquatic plants planting. 3 hours later, my aquarium finally finished. I will wait for my aquarium to mature before introducing fishes in. That will take 3 weeks I think. As what I read from the website, I will give 2 days for the plants to heal. 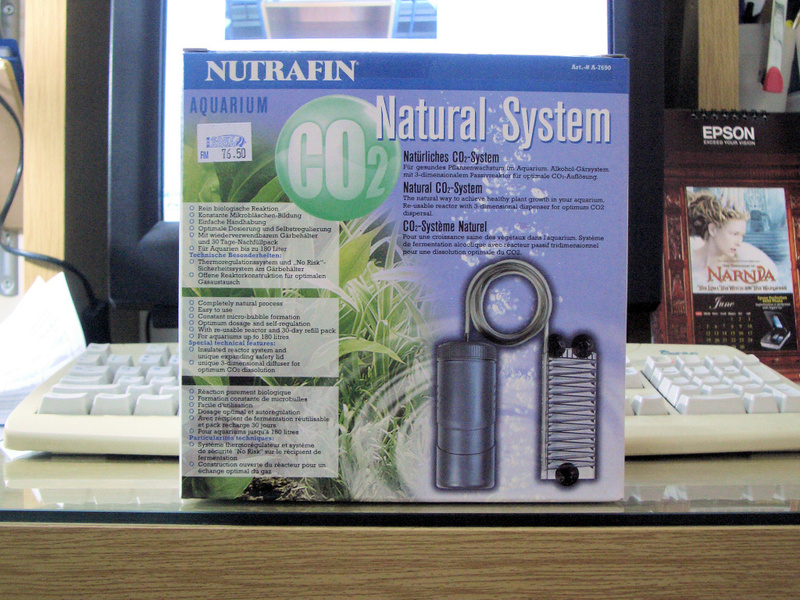 And on the third day, I will set up the CO2 system that I bought. so you decided to use the fermentation type for CO2 eh? Anyway, let see how you do it with fermentation type CO2, and its effects to tank pH. how do you reload the CO2 fermentation tank after one month? 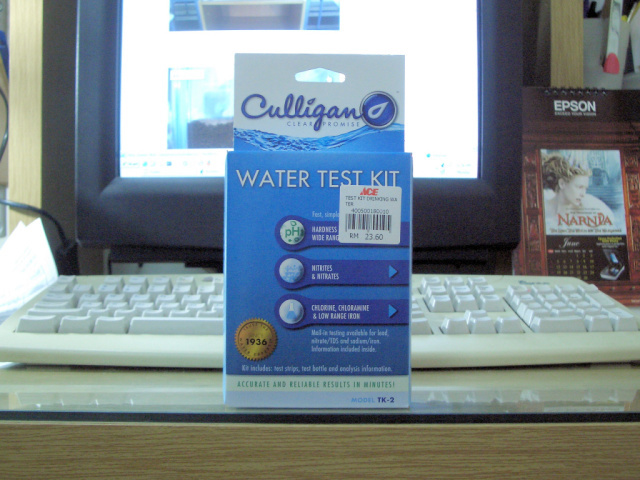 did a PH test.. the water is quite acidic at the moment (PH 5). hope once i introduce the CO2, PH will be up to around the neutral line. won’t be introducing co2 yet until my tank is 1 week old. anyway, to reload the co2, i just need to buy another set of ingredient (priced RM18.50) that contains basic reagen, activator and stabilizer. only one set is given inside the box. they are powder type. perhaps i can do DIY co2 as well using sugar and yeast. i might try that. if i’m not mistaken, if you put in more CO2, the water will become more acidic, that’s why you need to control the CO2 bubble flow into the aquarium.Another reason could be that the wood itself is leaching tannin into the water, thus increasing acidity. 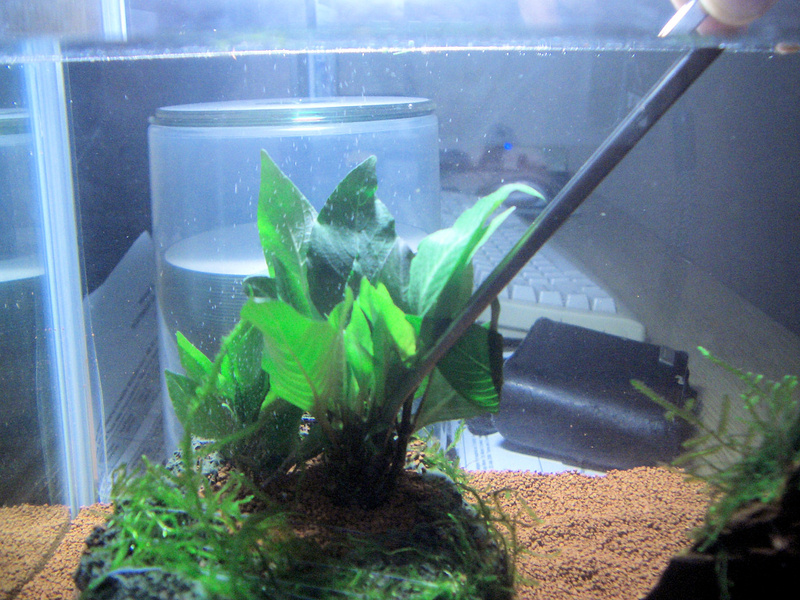 If you would like to experiment, try putting neon tetras, as they are very sensitive to water conditions.Silap sket je, mampoi. I tried with my acidic tank, they lived (although one died). aiseh. ya… my mistake.. co2 lower the pH. i tested again. 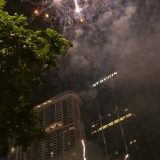 pH is 6.5 now. really low yesterday maybe due to the nitrification process just started. yeah. the wood might releasing tannin too. but i bought the treated one already. hope not much tannin leached. i guess with planted aquarium, the type of fish to keep is rather limited huh. but not planning to put much though. going to get otto and yamato next week, or once algae starts to bloom in my tank. I ran into your blog while searching for articles on planted tank. 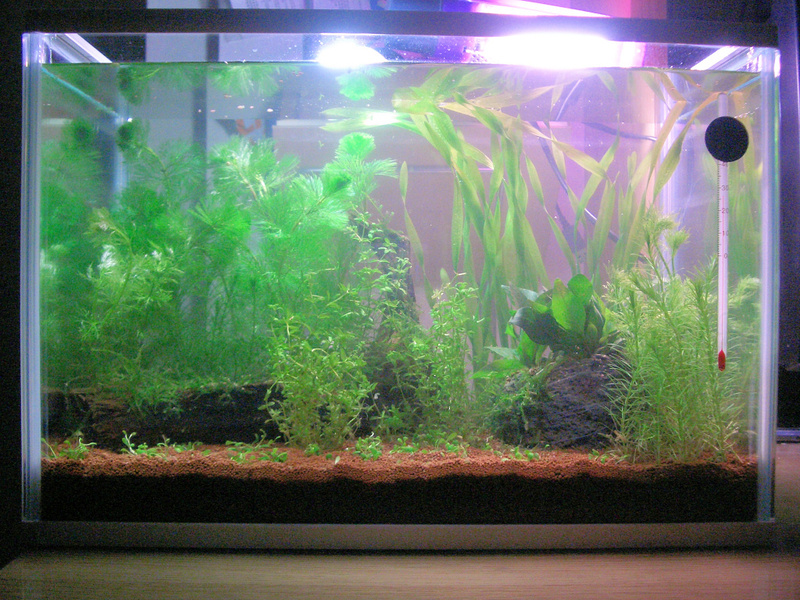 I am newbie and bought some aquatic plants and ADA powersoil, etc. yesterday to work on my 4’x1.5′ aquarium. I need a favour from you with regards to the planting of aquatic plant. You see, I bought those aquatic plants from local aquarium shop and they usually put few plants together and wrapped with some cotton/fibre and a metal piece that acts as a sinker. When deploying those plants into the tank, should we remove these materials? or just ‘cucuk’ only? Thanks for your advice. Since no one replied… As far as i know you need to remove the cotton/fiber and metal ring. You don’t need all those because you will plant it permanently in your substrate where the roots will grow into and spread out.